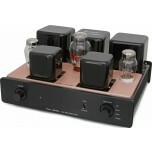 Valve amplifiers feature a warm, rich sound, with the particular sound of each model influenced by the type of valves used. Until the 1960s and 1970s and the proliferation of transistor amplifiers, valve amps were the only real option for home audio and hi-fi. However, once transistor amplifiers entered mass production, the use of valves (or "tubes") waned and was largely replaced by the cheaper, newer designs. 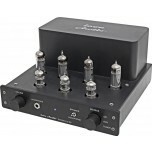 In recent years, valve technology and valve amplifiers have seen a resurgence in popularity, and have been favoured by audiophiles, musicians and enthusiasts for their tonal characteristics of warmth, richness and neutrality. This section includes hybrid designs (with valves hidden inside). 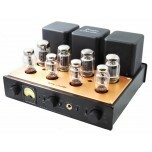 We also sell valve phono stages and valve headphone amplifiers. While most of the hi-fi separates we offer that feature valves are amplifiers, valves can be used in any product that features an element of amplification, so there are some models of CD player that feature valves, including some "hybrid" models that use a type of transistor amplification (e.g. 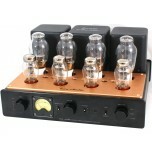 class AB or MOSFET) alongside valves with the valves hidden inside. 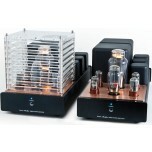 In most cases however, our favourite type of valve amplifier is the purist valve only design made by companies like Icon Audio with valves proudly on display on top of the amp. 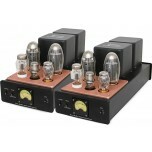 Why choose a valve amplifier? Thanks to their warmth and very organic sound, adding a valve amp to your system can help balance out a particularly bright or "forward sounding" speakers or source, adding more balance and body to the overall tone of your system. 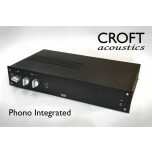 For example, a bright or too analytical turntable setup may be enhanced by the addition of a valve based phono stage. In most cases though, with the right speaker matching (higher sensitivity), valves simply sound spectacular and like nothing else. 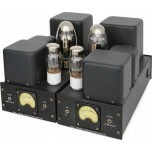 When discussing valve amps, phrases and superlatives such as ‘warmth’, ‘richness’ and ‘neutral’ are used, and can led to debate among audiophiles regarding the relative merits of valve and transistor designs. 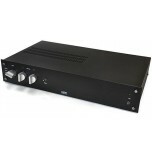 As they are not typically mass-produced products like many transistor amplifiers, valve amps are typically hand-made bespoke products, with fine build quality and built with expertise. 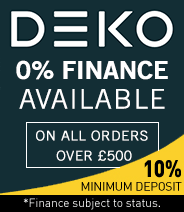 All of the brands and models we stock are from reputable and knowledgeable valve specialists – certainly not the cheap, Chinese imports which are available. We know that getting the perfect match can be tricky, which is why we offer friendy impartial advice and are always happy to arrange demonstrations. 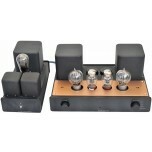 We offer Free UK next day delivery on all of our in stock items, though many valve amplifiers are hand-built and custom order so may take longer. Valve amps are typically much lower in power than equivalent transistor amplifiers, which means that matching amplifier and speakers needs to be considered carefully. One advantage of transistor designs is their power relative to valves, which is one of the reasons for their popularity. 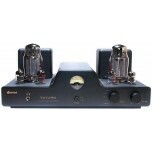 Valve amps therefore, will typically perform better with speakers that are easy to drive and have high sensitivity. 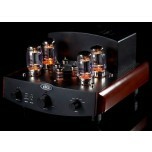 Floor standing speakers are typically higher sensitivity, and so tend to be an ideal partner for valve amplification. 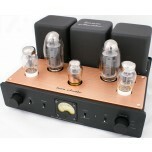 There are valve amps which have larger power ratings, as well as power amps and monoblocks based on valve designs. 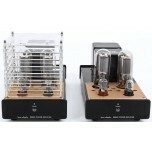 However, these can be more expensive than similarly-specified transistor models. 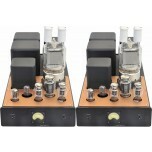 Why then do people choose a valve amplifier over a transistor amplifier if it is more costly? The simple answer is tone. 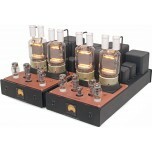 For enthusiasts and hobbyists, getting the best sound from a system and music collection is a priority – the warmth and richness achieved by valves is particularly favourable. The natural tone of a valve design can bring a music collection to life, adding lifelike qualities to vocals, letting you hear details previously unheard. Sound stage of valves is often described as holographic, due to the three dimensional imaging and presentation of valves. Front to back information and coherency gives the impression of a tangible wall of sound, giving the impression of your audio source being physically in front of you.